I grew up with adventure games. I was first introduced to the wondrous genre through a copy of Space Quest I found in my fifth grade classroom and it wasn't long before I was saving my allowance for games like Maniac Mansion, Day of the Tentacle, Monkey Island and (my personal favorite) Full Throttle. 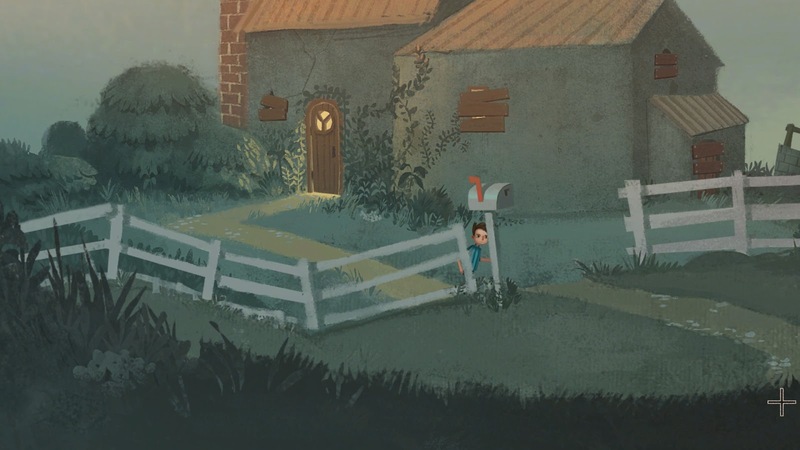 Tim Schafer's Broken Age is a call back to the golden days of LucasArts and SCUMM. Act II continues the enchanting story of Shay and Vella as they journey into unfamiliar territory and fight to understand their place in the world they think they know. I'm going to say this before we get too deep. I cannot discuss this game without some spoilers (especially for Act I). 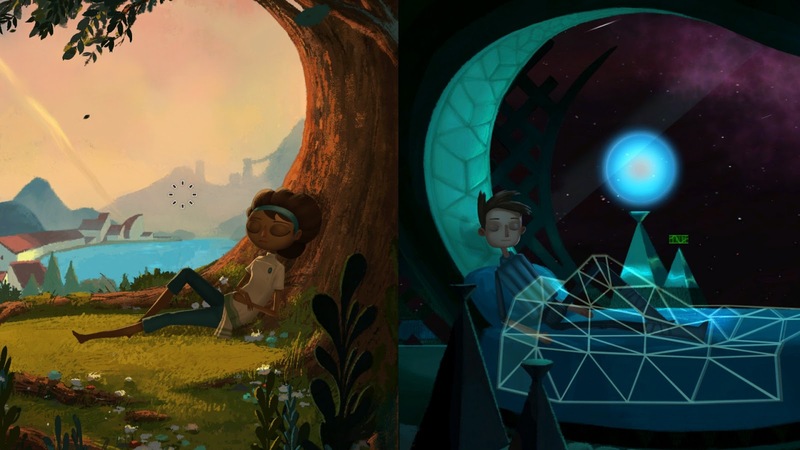 If you plan on playing Broken Age soon, you probably don't need any more confirmation from me. If you're on the fence about it at all, know this; Broken Age is every bit a classic. From the colorful and imaginative art style to the the superb voice cast and story. If you're a long time fan like me or a newcomer to point and click adventure games you'll find plenty to enjoy. That said, reading further could dampen your experience. Spoilers lie ahead; you have been warned. Act II starts out much like the first. You can still swap between Shay and Vella at any point though they've switched places. Shay wanders through Merriloft and Shellmound, encountering many of the characters the Vella did on her trek to bring down Mog Chothra. Meanwhile, Vella explores the ruined halls of Shay's "spaceship" unraveling the truth (see what I did there) behind the Maiden's Feast and looking for a way off the ship. The puzzles in the first act were self contained and didn't make much use of the character switching ability. This is not repeated in the second. In many places I found myself in need of information that the other character possessed. The puzzles were overall much more difficult this time around, with some solutions made more difficult by a small hitbox over the item or character. The best advice I can give is the same I'd give for any classic LucasArts game: click everything and exhaust every dialogue option. You'll find more hints and directions through this method than you will trying to guess at things. If you're really stuck, the game will occasionally chatter a hint through Shay or Vella to put you on the right track. There are some critics that have said the story for the second act didn't make any sense. I've heard people complain that the game was a complete letdown as a result or that Double Fine pushed the game out just to get things over with. My experience with Act II felt a bit jumbled at first, with a number of the mentions of places, people and things going totally over my head. I felt like the story just wasn't coming together. Then I gave myself a refresher of the first act. As it turned out, there was a great deal of information I'd forgotten. When played together, the narrative isn't nearly as convoluted as some would have you believe. I can think of a couple reasons why the narrative seemed to break down between acts. The obvious one is the length of time between the release of Act I and II. Over a year has passed since the initial release which is more than enough time to fuzz out a few of the finer details. However, I'd like to point out that much of the narrative "setup" (foreshadowing, plot outlines and establishment) done in the first act wasn't tied directly into the puzzles. As much as I enjoyed the dialogue from Broken Age, it's the puzzles that stayed with me over time. If you're chomping at the bit to play Act II, do yourself a favor and watch a recap somewhere or just start from the beginning. I think the whole story comes together much better without a year long wait between the two halves. Act II is a lovely conclusion to this LuasArts throwback. I hope you enjoy it as much as I did. Beware the trees!